Media mogul Rupert Murdoch secretly sat in on British politician Michael Gove’s interview with US President Donald Trump, according to an exclusive report by the Financial Times. Gove scored a coup for the Murdoch-owned British newspaper the Times when he secured the first UK interview with Trump since his election victory. The Tory MP and former cabinet minister interviewed the US president at Trump Tower in Manhattan. According to the FT, the report failed to mention that Murdoch himself was present during the interview. Two people have since confirmed the media mogul was in the room, according to the FT, despite him not appearing in any publicity photos of the event. Gove conducted the interview with Kai Diekmann, a journalist with German newspaper Bild. 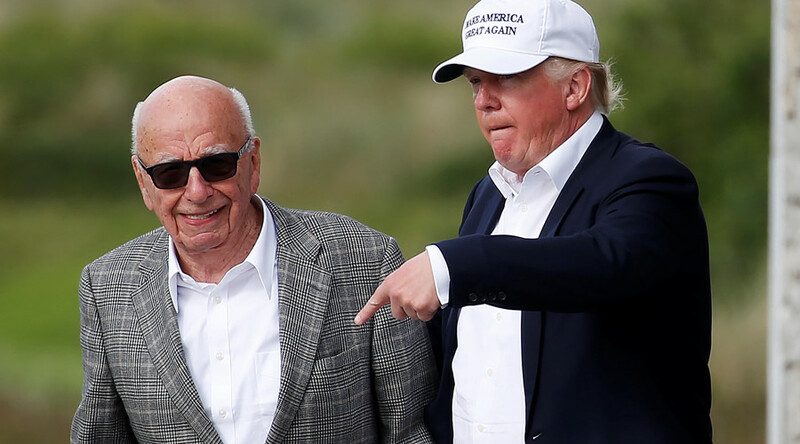 The FT reports Murdoch and Trump are in regular contact and that the press baron’s major US media outlet, Fox News, has come out strongly in support of the president. The newspaper also revealed Ivanka Trump, the president’s eldest daughter, was until recently a trustee of Murdoch’s two young daughters, Grace and Chloe. She reportedly represented the girls’ interests in 21st Century Fox and News Corp, two companies owned by the Murdoch family. Gove, meanwhile, is currently paid £150,000 (US$188,000) per year to write for the Times. In the Tory MP’s interview, Trump said the UK had a “special place” in his heart and that he would try to ensure Britain gets a “good” trade deal with the US after Brexit. “People, countries want their own identity and the UK wanted its own identity. Brexit is going to end up being a great thing,” Trump told Gove. After the interview, Trump posed for photographs with Gove and Diekmann, but there was no photograph of the president with Murdoch.